The New Generation i30, which was launched sometime back in March, was awarded as the Best Value Hatchback during the yearly Towcar Awards 2012. 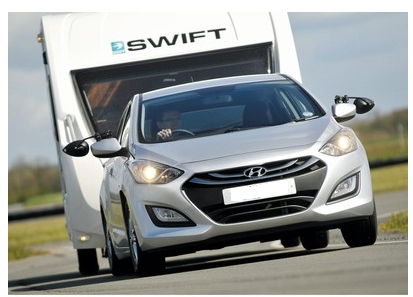 This New Generation Hyundai i30 boasts the ability to tow a weight of almost 1,500kg, a feat enjoyed by very few car models today in the UK automotive industry. Are you looking forward to purchasing the best hatchback in the UK? The new generation Hyundai i30 is one such car model that promises amazing returns on its purchase. The car received extolment from the entire auto industry for its great excellence and reliability. The judges responsible for proffering the award heaped a lot of praise to the brand having successfully gone through virtually all the gruelling tests set to discover Britain’s Best Towcar. The tests offered included emergency lane changing, braking, hill starting, high-speed stability and general practicality. This new generation car managed to go through all these stages as many other models failed. This new car remains the ultimate option car for purchase should there be plans to get one. The car’s ability to beat the odds during the jading tests points to this car’s superiority in the auto industry. One may also opt for this car’s purchase with the main goal of enjoying the roomy cabin space that has the capability of swallowing a holiday’s luggage. The car also treats its buyers to a 5-year warranty plus a 5-year breakdown cover as incentives to car drivers. The affordable price of this car together with the salient features mentioned earlier explains the forces behind the award presented to the Hyundai brand. If you’re looking to purchase or lease a new Hyundai contact our sales team. Alternatively, visit our website where you will find new and used Hyundai’s available for sale or on finance.